Hundreds of round tables available to hire, from 3ft to 7ft diameter. Trestle tables, catering polytop tables & conference tables for hire. Square & curved dining tables in cherry or beech wood for any venue. Table and chair hire from Event Hire UK for banquets, gala dinners, post-conference dinners and other special occasions - we have it all. We have thousands of tables for hire across the country in all different shapes and sizes - choose the tables you need to hire according yto how many guests you want to seat around each and your available space. 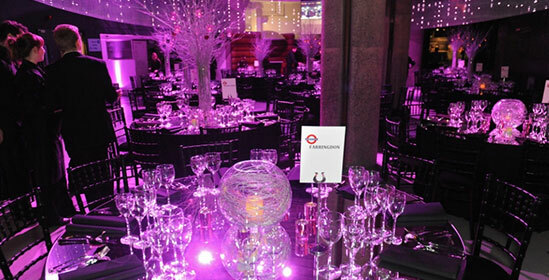 For free expert advice and assistance, contact the specialist team at Event Hire UK today! Why not take a moment to view our timelapse video of the Event Hire UK team setting up a banqueting dinner for 1,800 people using round banqueting tables and Chiavari chairs along with matching linen, crockery, glass and cutlery. When it comes to tables for hire across the UK, Event Hire will take care of all your requirements as a result of our large, available stocks across our four nationwide sales and distribution centres. Our hire tables are all in excellent condition which is what you would expect from a national, award-winning and SafeHire accredited company. The choice of which tables to hire from Event Hire UK is superb, from round banqueting tables to hire, rectangular & trestle table hire and dining table hire so why not take a moment to browse our selections to find the perfect table hire for you. Of course, your choice very much depends upon what type of event you are holding. Event Hire UK offers rental tables to both professional and private event organisers – in other words, anyone from large scale conference organisers through to wedding planners and members of the public who need to hire tables for a party in their home. The various shapes of tables are critical to provide that element of choice depending upon the style of event and the available space in your venue. Some people hire one or two dining tables from us to host a Christmas dinner in their home. 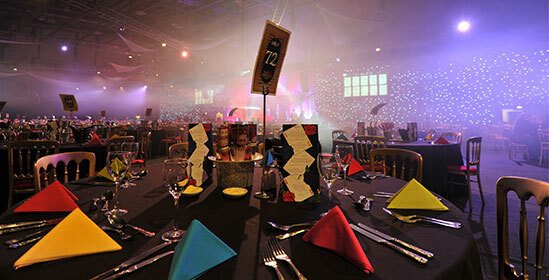 Likewise, large scale arena venues might hire 400 round banqueting tables for society balls or award ceremonies for example. The list of clients who hire tables from us is endless, and they all have different requirements, all of which can be catered for. At the same time, you need to ensure that when you hire round tables or other banqueting tables, then you receive good quality tables for your event. 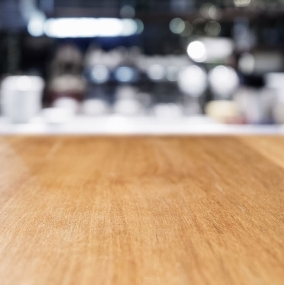 The last thing you need is for your tables to be rickety or not standing on a level footing. Event Hire UK achieves this as part of our strict quality control procedures, ensuring that all our stocks of tables are regularly checked and maintained – after all, a little bit of TLC goes a long way! We also offer a linen for hire service to accompany your hired tables and, of course, don't forget your chair hire at the same time! Whatever You Need When It Comes To Table Hire, We Can Help! 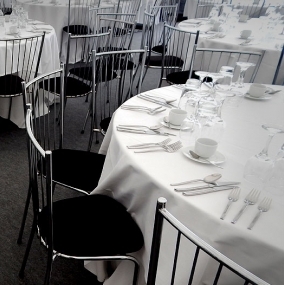 As well as being available in different shapes, these hire tables also come in different sizes which is particularly useful for all our clients in that they can look at the number of guests they are expecting at their event and then work out how many tables they need along with their chair hire requirement to seat them all. Once you have done this, then get in contact with us to discuss your requirements. All our tables are stackable and have folding legs for both ease of transportation and erection at your venue. If this is something that you would like help and advice with, then our dedicated expert team are always on hand to provide you with the help you need to make your informed decision. 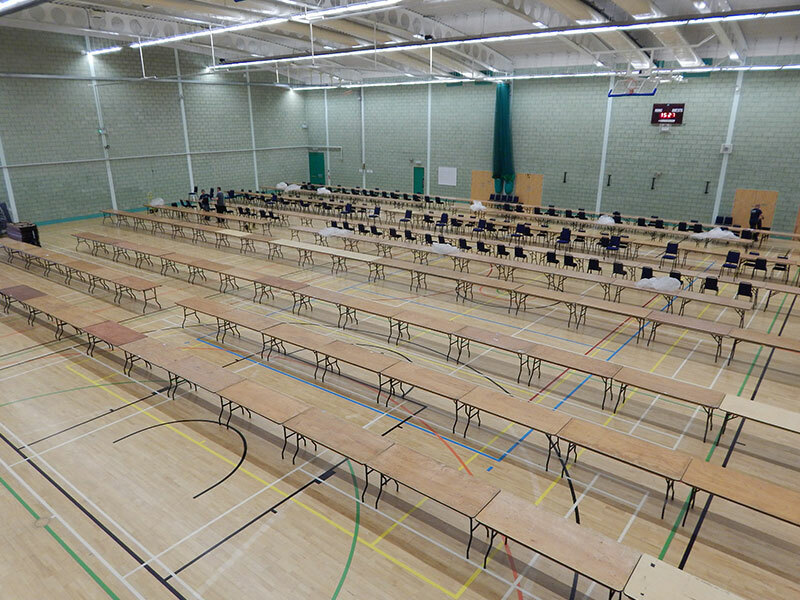 Trestle Table Hire In Their Thousands! 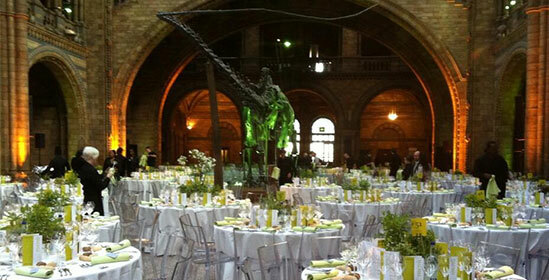 Event Hire UK boasts one of - if not the - largest stocks of trestle tables for hire in the UK. These are constantly in use at exhibitions, trade shows, village halls, around local and national election times and so on. Likewise, as well as rectangular top tables, we also offer rectangular catering tables for hire for use in professional kitchens. Trestle tables, with their folding legs, are stackable and easily transported in huge volumes, allowing us to perfectly service most types of events for which trestle table hire is needed. Table hire of all different shapes and sizes is a speciality of event equipment hire UK and so why not benefit from our extensive stocks and customer service levels today. Of course, price is a consideration for anyone when it comes to table hire but, like anything else in this world, you get what you pay for! If you are looking for cheap table hire then the tables that you are likely to receive will be....well....cheap. In other words, they might not be level, they might come without rubber feet on the metal legs, the hinges on the metal legs might be broken or loose....you get the idea. Like anything else, quality costs, and ultimately most people want to get the best they can for their money to ensure that their event goes the best possible way. The last thing you want is to be worrying about the state of your tables before the event starts! 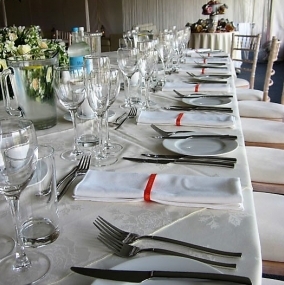 Yes, of course, price is a consideration, but also bear in mind the quality of the table hire, the quality of the table hire company you are dealing with, their timeliness, their customer service and their attention to detail - all these things have a value which should never be under the radar. If you are looking for the best trestle table hire company in London, Manchester, Leeds or Birmingham, for example, then you are in the right place here at Event Hire UK. We are happy to hire trestle tables in their thousands, providing you with the complete one stop shop for your upcoming event or special occasion. And, if you need us to not only supply you with your trestle table quota but also help you set them according to a pre-determined plan, then this is something we can also discuss with you based on your specific requirements. Think of the headache and stress that this service would alleviate from you at your event – it’s priceless for many event professionals up and down the country. So, whatever your event, whether it be a conference, corporate hospitality event, wedding tables hire, roadshow, seminar or special family occasion - and wherever your event whether you need table hire London or anywhere else in the UK - Event Hire UK is confident that we will be able to assist. After all, we are award winning for a reason! Browse and hire online today or call a member of our expert sales team, one of whom will be delighted to assist you with your requirements.